A.S.A. 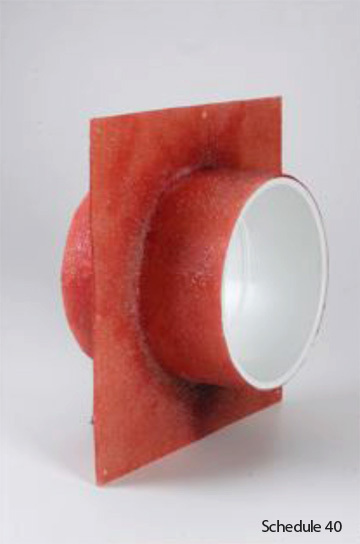 MFG fiberglass waterstop couplings effectively reduces leaks pipe penetrations! 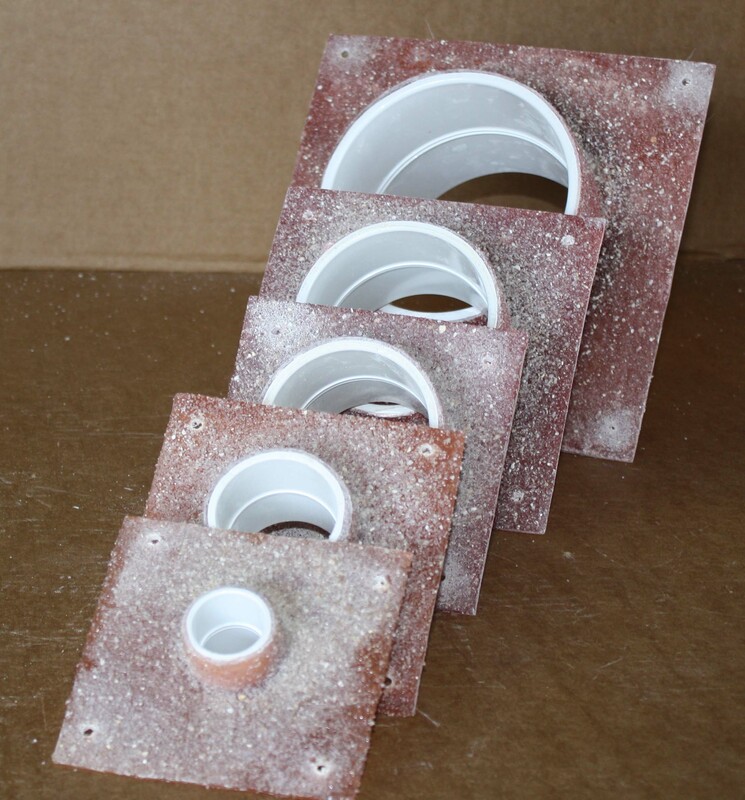 Choose these heavy duty waterstops for your pipe junctions in framed maindrains, gutter manifolds, equipment rooms, fountains, pool walls and floors, and surge tanks. We manufacture our fiberglass reinforced waterstop couplings in both Schedule 40 and Schedule 80 soc x soc sizes from 3/4" to 24". Fabricated with premium fiberglass and resin over PVC, our waterstops include a formed, fiberglass flange. 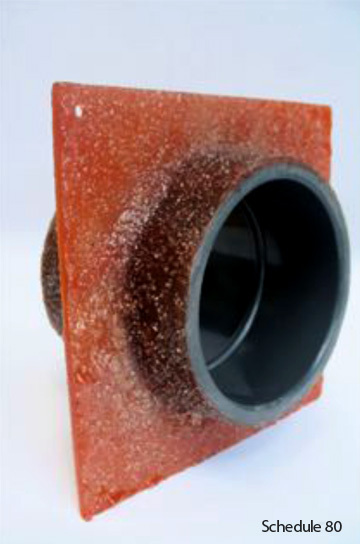 More reliable than heat-welded PVC, our fiberglass waterstops will create a durable hydrodynamic waterstop when encased in concrete. Fiberglass waterstop couplings are a fraction of the cost of brass and are non-metallic, so no grounding is needed. Tie wire holes allow fitting to be secured tight and level during floor pour. If you have a custom requirement, send us your drawings and we will quote you prices for a custom fabricated waterstop coupling!